I love shopping. Shopping is the thing that has got me through my final year of university, and it makes me so, so happy. I’m a firm believer that the way you dress shows the world who you are, and I really enjoy creating and styling outfits for that ultimate lecture chic. The thing is, there is a looming problem in the way we shop. The two ominous words: Fast Fashion. Fast Fashion is clothing that is produced rapidly and that is considered a ‘fashionable’ or ‘trend-based’ product. Looking at my own clothes, I can see that a lot of them would be considered fast-fashion and I am incredibly guilty of buying the latest on-trend product. As the second largest contributor to CO2 emissions, the fashion industry, and more specifically fast-fashion, is killing our planet. There is no way around that fact. In an age where we are becoming more and more environmentally conscious, it seems that the fashion industry is not really part of the conversation. I’ve realised that something needs to change. Yes, I drink through soggy paper straws in Spoons, but my wardrobe is still hugely contributing to global warming. The other issue with the way we dress is that we have created a throw-away culture when it comes to clothing. It’s considered normal to buy an outfit for a night out, wear it once and then never wear it again. This long-forgotten outfit festers in our wardrobes until we deem it too old and throw it away. It then ends up in landfill. damaging our environments once again. Perhaps the most concerning problem I’ve discovered with the fast-fashion industry is the way it affects people living and working in developing countries. Most retailers have factories in countries such as Bangladesh, India and China where they are free to pay their workers less than $3 a day to make our clothing. The vast majority of these workers are women, and so, by wearing fast-fashion we are keeping women in low paid jobs, trapping them in a cycle of poverty. It’s all well and good to wear a ‘GIRL GANG’ slogan t–shirt, but if the woman who made it are being exploited, what’s the point? Finally, and perhaps the aspect of fast-fashion that is closest to home, is the harm it does to the people actually buying it. 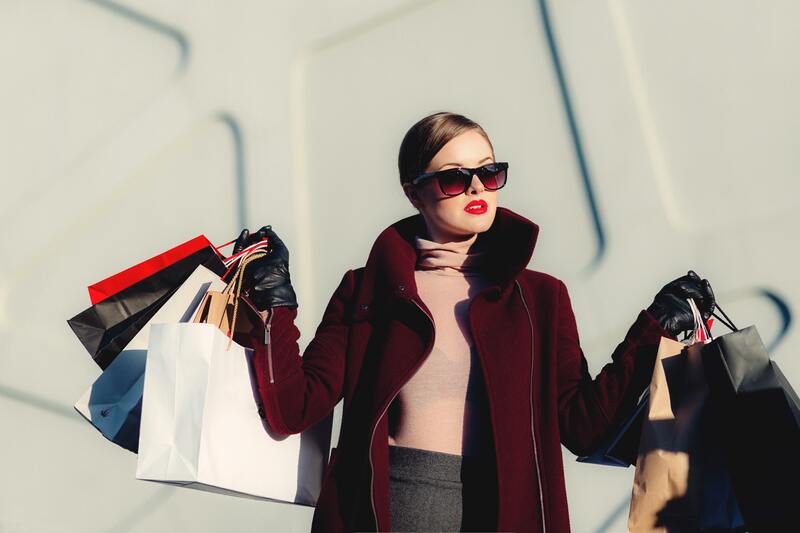 Research has shown that materialism is linked to anxiety and depression. and as fast-fashion encourages materialism it’s clear that the effects of that jumpsuit on your mental health may not actually be all that cute. To add to this, fast–fashion often perpetuates ideas of traditional beauty standards which encourages people that don’t fit into those standards to struggle with self-esteem and body image issues. As a size 12 woman, I know that I’ve often found myself feeling sad and disappointed when the latest trend doesn’t suit me as much as I hoped it would. I’m not saying that I’m going to stop buying all clothes, but it is imperative for all of us change the way we shop. I’m trying to buy less clothes by purchasing slightly more expensive items that are good quality and will last longer. Another great way to reduce your environmental impact is to buy second–hand clothing through sites such as Ebay and Depop, or at your local charity shop. By changing our habits, we will help the planet and people around the world. So don’t just look good, do good.